Luke Brotherwood, 20, has always been interested in what makes things work. His real passion is for cars – driving them and understanding what happens under the bonnet. So, it was always in his mind to pursue a career in something that would get him close to cars. Engineering seemed to offer that path. Now all he needed was a way to get there. His school was very supportive of his decision both to study automotive engineering and not go to university. Someone even came to his school to talk about internships and apprenticeships and he had several meetings with the Head of Careers. Although there were a few others in Luke’s year who chose not to go to university, he was the only one who applied for an apprenticeship. He wasn’t successful in the first round of applications and, having not applied to university, he was forced into both an unplanned gap year and the prospect of going to university. His least preferred option. In fact, Luke was given four offers from universities to study automotive engineering and motor sport engineering. But having looked at the courses, his overriding preference was to complete an apprenticeship. Very few car manufacturers offer the sort of course that Luke wanted to do. Happily, Jaguar Land Rover was among the first to open their application process and Luke passed through the various stages to get a place on their engineering degree apprenticeship. He has been impressed by the effort and energy the company puts into their apprenticeship applications. They clearly have to as Luke thought that there were around 8,000 applications for 150 apprenticeships at Jaguar Land Rover alone. Now, that would take some administration! The process itself was rigorous. An initial written application was followed by specific maths and english tests, which were then followed by an assessment centre. At the time of writing, Luke has only taken part in the early induction stages of his apprenticeship. But, he now has a salary and, as the apprenticeship is linked to Warwick university, he’ll have his tuition fees paid, too. He will spend at least the next five years moving between the classroom and the manufacturing plant. The first year’s focus is very much in the classroom where he’ll be studying a foundation degree. In the following years, he’ll spend more time working in the plant, supplemented with occasional college days. So what about social life? Is he missing out on the student lifestyle? Not really. He lives in a house with other students his age and socialises with them and others. There are, however, marked differences between the typical student life and his apprenticeship. He says he and his fellow apprentices have been made acutely aware of the importance of turning up on time in the mornings and adhering to codes of conduct! So, no hangover duvet days watching Countdown in the afternoons, then. Luke is clearly excited about his future working with two of the world’s most iconic vehicle brands. He’s embarking on a career in an area about which he’s passionate. And, he’s not only being paid for the pleasure, he’ll have overtaken many of his contemporaries who will be two or three years behind him in the career ladder. 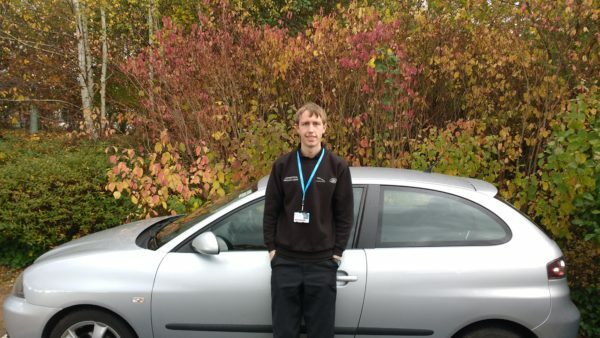 We look forward to hearing more from Luke as he progresses with his apprenticeship at Jaguar Land Rover.